Do you have oily skin like me? Do you have congested skin? If you do, fret not. I have something to recommend to you. 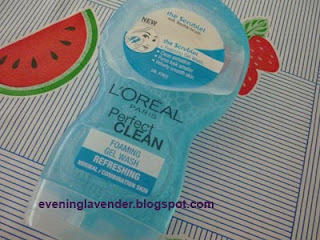 I got this Loreal Perfect Clean Gel Wash as part of the goodie bag when I attended an event by a lovely blogger. The special thing about this gel wash is that it has a special scrublet that is very soft. It is gentle and gives my skin a good scrub each time I use. I recommend that you used it once a week. They have a few formula which you can check out in the local pharmacy. The super soft and gentle scrublet! I don;t find anything special with the cleanser but I think the scrublet is very good. With consistent use and regular application of mask, the scrublet can help to remove one or two of my stubborn blackheads. 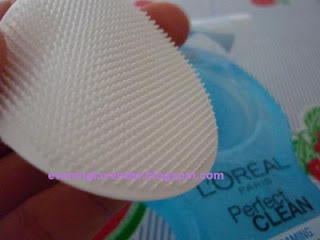 Have you tried this product before? Please share your view.